Our Dental hygienist cleans your teeth and gums and provide individual advice to enable you to keep your mouth in great health. Our hygienists work closely with your dentist to give you a tailor-made preventive and maintenance programme. 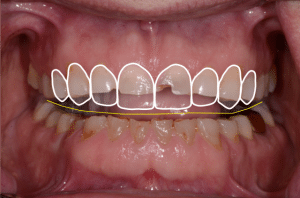 Assessing the overall state of a patient’s dental health to give the dentist a head start in any necessary treatment. Keeping track of patient care and treatment plans. 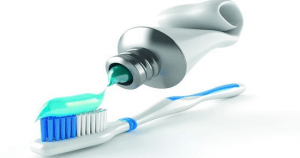 Application of preventive materials (such as sealants, fluorides) to teeth, To significantly reduce the possibility and risks of cavities, and the need for fillings. Teaching patients oral hygiene, such as how to brush and floss correctly. Dental hygienists help patients develop and keep good oral health. They may explain the relationship between diet and oral health. Visits to your dental hygienist are an important part of looking after your teeth alongside regular check-ups with your dentist. Our hygienists work with our expert team of dental professionals to help minimise the effects of gum disease by thoroughly cleaning your teeth, particularly in those hard to reach areas. As well as removing stubborn plaque and tartar that can build up on your teeth, even with regular brushing and flossing, our dental hygienists can help to remove unsightly stains caused by tea, coffee, red wine and cigarettes. Over the last 28 years Colin has worked in almost all areas in dentistry, including working as a dental support specialist in the armed forces, where he served in the Gulf war in 1991 as a combat medical technician. after an extensive period in dental practice management Colin qualified as a dental hygienist in 1994.
the area of prevention of dental disease has been his primary area of focus over the last 20 years with a particular interest in periodontics ( diagnosis & treatment of gum disease) and its effect on the " whole body" with a holistic approach. 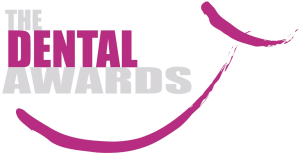 Colin has worked with many award-winning cosmetic dental teams culminating in him being awarded the prestigious "Dental Hygienist of the year " award for his work in preventative dentistry. Colin believes that , it is only by getting to know his patients and building up a relationship of trust that best results are possible, Teamwork is a very important part of his approach to dental health and he views his patients as a pivotal member of that team, working hard to understand, treat and prevent any dental health concerns. He is always keen to promote his dental health message to the wider community through his work with professional bodies, such as the Listerine dental research forum to addressing local community Groups.In his opinion good communication and a complete understanding of his patients need are the starting point and the foundation of any professional relationship. 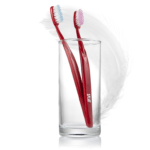 • Provide dental hygiene care to a wide range of patients. • Provide preventive oral care to patients and liaise with dentists over the treatment of tooth decay, periodontal disease and tooth wear. • Give patients advice on how to stop smoking. 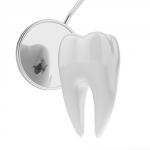 We know that mouth health and the health of the entire body are intimately connected. In fact, oral diseases are connected to numerous disease processes like heart disease, diabetes and infant prematurity. Our experience brings proven results in treating gum disease, removing mercury amalgam fillings, treating headaches as well as eliminating damaging tooth grinding. We have not only restored the appearance of our patients' smiles but have also contributed to improving their overall health. Before any dental work begins, each patient receives a thorough dental examination and health assessment. This typically includes digital x-rays and a complete survey and charting of your teeth and gums , including cavities, restorations and missing teeth. We also evaluate your periodontal health, occlusion (teeth position and bite) and TMJ (jaw joint), as well as screen for oral cancer. Daily tooth brushing and flossing remove food debris and plaque from the gingival pocket. If not removed, harmful bacteria penetrate the gum-line and deepen the pocket. Your teeth are cleaned using special instruments to remove plaque from above and below the gum-line. Afterwards, your teeth are polished. Tooth polishing makes your teeth look and feel great. It also smoothes tooth surfaces so plaque is less likely to accumulate. Ultrasonic technology lets us perform even the most difficult cleanings thoroughly and comfortably. The device uses gentle, high-frequency sound waves to create a vibration (called cavitation) that removes heavy deposits and debris comfortably and thoroughly, with much less scraping. Though it doesn’t get much publicity, oral cancer is the sixth most common type of cancer. Often not caught until the later stages, this disease can be disfiguring, often resulting in removal of the jaw, tongue or other facial structures. In the worst cases, oral cancer can be deadly. 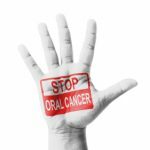 Oral cancer involves abnormal cell tissue growth in the mouth, tongue, lip, palate, gums or throat. experienced dentists at Lane Ends Dental Practice routinely screen patients to determine if they have oral cancer. A healthy smile depends on healthy gums. Unfortunately, most adults have some degree of periodontal (gum) disease, which can lead to bleeding gums, gum recession, sensitivity and — in the worst case — tooth loss. 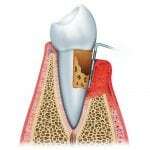 In fact, periodontal disease is the most common cause of tooth loss among adults. soft tissue management, medications, gum grafts and new tissue regenerative procedures. We are pleased to offer our patients custom made protective night-guards that prevent teeth grinding and wear. The first step in fabricating these night-guards is to take an impression of your teeth. We then use that impression and fabricate the night-guards using special professional-grade materials. The perfect fit of these night-guards ensures that not only will your guard fit comfortably, it will also offer the most protection and will interfere the least with speech or breathing. The grooves and depressions that form the chewing surfaces of the back teeth are extremely difficult to clean of bacteria and food. As the bacteria reacts with the food, acids form and break down the tooth enamel, causing cavities. 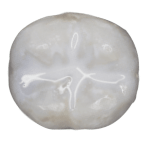 Tooth sealants protect these susceptible areas by sealing the grooves and depressions, preventing bacteria and food particles from residing in these areas. Sealant material is a resin typically applied to the back teeth, molars and premolars and areas prone to cavities.